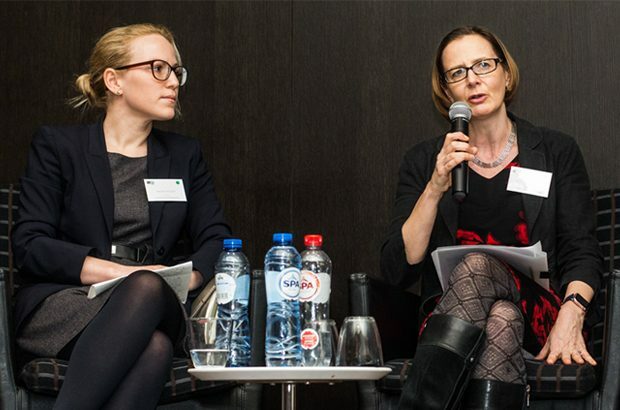 Last week Kate Collyer, CMA Deputy Chief Economic Adviser, and I had the pleasure of speaking at a conference in Brussels created to recognise and celebrate women excelling in the competition world. I’ve worked in competition for many years, and I think the conference and the newly created ‘Women@’ platform is a welcome step forward in recognising and encouraging high-performing women in this area. Women@competition is a pan-European platform created by women professionals with extensive experience in competition. The conference aim was to showcase some of the sharpest female minds in the competition field and create a platform to hear them speak. In fact, Andreas Mundt, President of the Bundeskartellamt, also gave a great speech, which highlighted the success of the Federal Cartel Office in attracting high-performing women, but otherwise, it really was all women speakers. At the end of the conference W@Competition announced the winners of their ‘30 in their 30s’ initiative – which recognises women doing great work in their 30s and marks them out as the ones to watch going into the future. I'm proud to be able to say that 10 Competition and Markets Authority (CMA) colleagues were recognised, which is great for the individuals and the CMA, and highly deserved by all those involved. They are: Kate Collyer, Amra Topcagic, Rosamund Browne, Maria João Duarte, Jenny Haydock, Elisa Hutchinson, Alex Olive, Eliza Petritsi, Tamara Todorovic and Deborah Wilkie. The high number of CMA staff recognised demonstrates the success of the CMA is attracting the best talent and hopefully that we provide the right environment for them to flourish. Open to both male and female attendees, the conference was a great success with around 200 in attendance and many law firms making an effort to send large numbers of their female lawyers. All the panel sessions on offer were of a high quality and covered a range of topics from the future for merger control, rebates in competition law - where Kate Collyer spoke - private actions and the enforcers’ panel – which I formed part of. Coming together with representatives from other European National Competition Authorities, a few themes started to emerge of areas we're all looking to prioritise, in particular, tackling competition issues in the digital landscape and taking action on excessive pricing of pharmaceuticals. You may ask the question – with so many attending the event and so many women now working in the competition world - is it necessary to single women out for a conference of this kind? The issues that affect women professionals generally, such as the pay gap between men and women doing the same job and the difficulty of balancing family and work life, can also exist in competition, so it's important to ensure that the excellent progress made so far continues, and events like this will help. The 30 in their 30s initiative also encourages and recognises women who excel in their profession, which is great for keeping and attracting women into the field. The CMA is a great place for women to work, with many working in senior positions, but there's always more that can be done. The CMA takes equality and diversity seriously and tries to create an inclusive culture which recognises and values difference. Drawing on my experience, I think the story of women in competition is a good base for making progress in other areas where groups remain under-represented, for example ethnicity, socio-economic background and LGBT. The hope is that this will become an annual event, and it was an honour for me to be involved in the augural conference. If the organisers of this conference realise their ambition, there will be another conference next year and, hopefully, a number of CMA attendees as well as more CMA women recognised for their contribution to the competition field. Ann Pope is the Senior Director of Antitrust at the CMA with a responsibility for non-cartel investigations. Kate Collyer is the Deputy Chief Economic Adviser at the CMA with responsibility for market and merger investigations. Subscribe to our blog for updates and follow us on Twitter @CMAgovuk, Flickr, LinkedIn and like our Facebook page.